A new year wipes the slate clean. And while that’s a good thing for your resolutions, it can be a missed opportunity for your dental benefits. 1. You’ve met your deductible. Oh hello, deductible. I believe we’ve already met. A deductible is the set dollar amount you’re required to pay before your coverage contributes to your costs. If you’ve already met your deductible for the year—even if you’re close—it’s worth squeezing in non-emergency care. You’ll pay lower out-of-pocket costs. 2. You have unused benefits. Most dental plans cover preventive procedures at 100%. This typically includes routine exams, x-rays, fluoride, cleanings and sealants for kids. Treat your unused benefits like a coupon that’s about to expire. Get what you pay for! If you or your dependents have unused benefits, schedule those last-minute appointments. View your plan specifics to see what care is covered. 3. You’ve paid your premiums. Monthly premiums are already paid—whether it be by you, your company, or a little from each side. Put that money into action and use your benefits. It’s always smart to see the dentist to help prevent problems now. 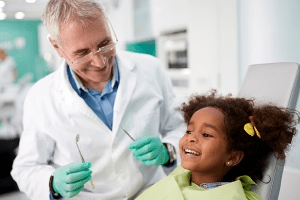 Dental appointments can detect problems early—and in some cases—before they start. Yes, we agree! Getting your benefits in is important, but preventative care for oral health is even more important! Dead on. We get a lot of this at the end of the year. Seems like dental emergencies spike this time of the year, and those looking for immediate dental care during the holidays.